The new police station in Plympton is still on schedule to open in the spring! The exterior of the building’s slate colored composite siding and white PVC trim was installed this week; providing the town with a long-lasting maintenance free exterior. The 6,000 square-foot building’s interior work also continues. The town wanted the finished building to have a clean and functional feel when completed. This is being completed by installing wooden veneer kitchen cabinets, resilient tile flooring, and acoustical ceiling tiles are throughout. With the building needing to use all available space, the design team along with our engineering firm installed the mechanical systems in the attic. Units are suspended from the top chords of the trusses and a plywood floor platform for the bottom chords of the trusses provides access to the units for service. All insulated ductwork is located within the attic’s space and connected to the ceiling diffusers within the spaces below. Finally, the roof was insulated so that the attic would be a “conditioned space” which will lengthen the service life of the equipment. We are excited for the Plympton Police Department to move into their new space. More project updates to come! The project team traveled out to Framingham’s Fire Station #2 site where the visual mockup of the exterior facade was ready to be reviewed. The purpose of a mockup is to provide a real-life visual of the facade in order to verify the designs aesthetic better than what a rendering can provide. The design team selected two colors of brick veneer, water struck and manganese iron spot brick. The manganese iron spot brick was designed to run in tight bands along the street facing areas giving the building dramatic shadow effects. Continuing the theme black metal panels top the cornice and provide a canopy over the main entry. Cast stone was selected to anchor the building’s base and to top off the masonry. The team also checked on the building’s masonry work, which is over 50% complete. The masons began their work on the East side and have quickly maneuvered clockwise around the building completing each face as they go. We are looking forward to seeing the project come together! Everett’s Hancock Fire Station has served the Northwest section of Everett for over a century and to be able to continue servicing its residents, the station needed some significant upgrades. The substation’s renovation was the first for the City since the Ferry Street Station project in 1999. The project began a little more than a year ago with a total project costs of $3.5-million. One of the smallest but most impactful changes was the introduction of new doors to tighten the separation between the dormitory and apparatus equipment, a significant boost to fire fighter health. The project also overcomes many deteriorating building conditions that threaten the life of the historical building. This past Saturday the City hosted an Open House that was well attended. Fire Chief Tony Carli was quoted saying “This is a great example of the City’s capital improvement plan at work for us in the fire service” and mentioned that the firefighters were happy to get back into the station. 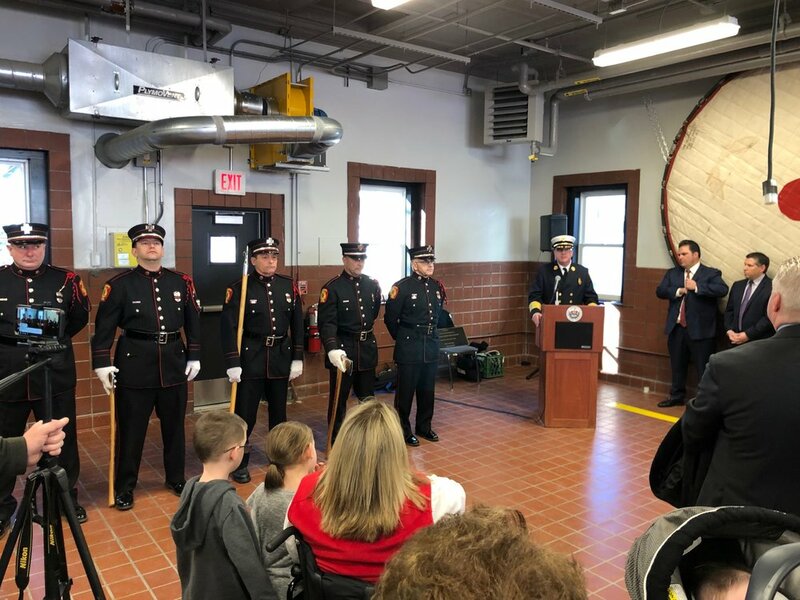 We are thrilled to be able to provide the fire fighters and the city’s residents with an updated fire station that also holds on to its historical value. Our Design Team is Growing! We are thrilled to announce Craig Johnson has joined our team. As an architectural designer, Craig recently received both his Master of Architecture and Bachelor of Science in Architecture, with a concentration in Urbanism from Wentworth Institute of Technology. He has also recently completed three internships where he worked with the design teams to review and edit design drawings including construction documents as well as visiting project sites to assess and improve existing conditions. Craig will be helping to work with the team here on Everett’s Central Fire Station. 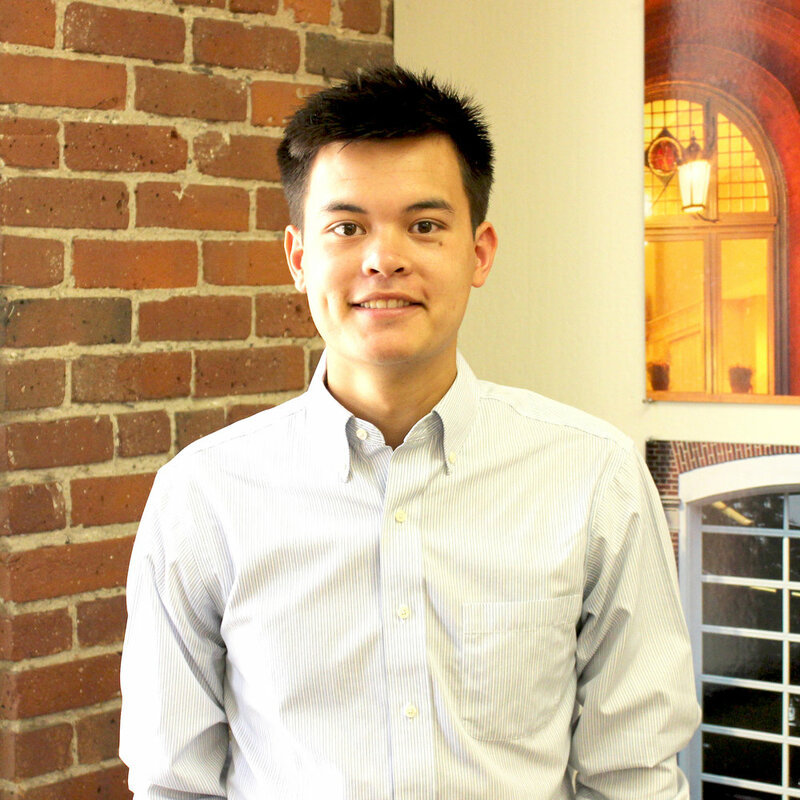 We invite you to welcome Craig to the team with us, by getting to know him a bit better. 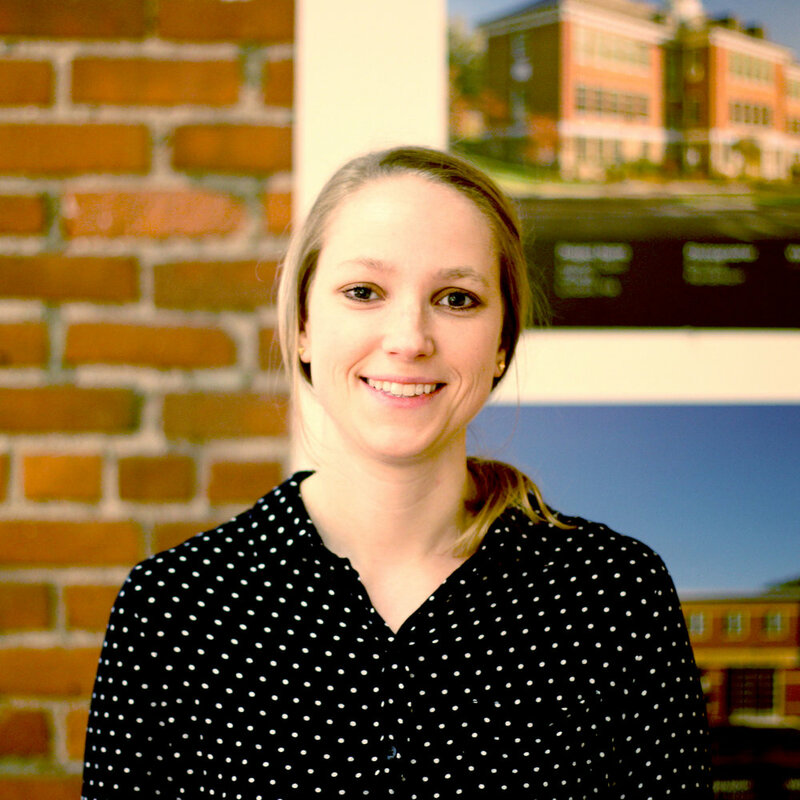 Please join us in celebrating the newest addition to the ranks of Registered Architects in Massachusetts. Elizabeth Apeldoorn passed her registration exams earlier in the year and recently received final confirmation from the state. Elizabeth is a very talented, thoughtful and dedicated architect. She became a highly valued member of our firm almost immediately after joining Context Architecture about 5-years ago. Elizabeth is currently leading renovations of two Fire Stations in Everett; Hancock is being completely remodeled and Central is undergoing targeted renovations. She is an integral team member on the new Police Station in Medford, scheduled to begin construction in 2019 and for the Town of Westford’s New Center Building which is just beginning the design stage. It is with our greatest pleasure that we congratulate Elizabeth on this extremely important accomplishment and look forward to all her future successes! Last week, the Town of Burlington’s officials and members from their design team gathered together to break ground where Burlington’s new Station 2 will be built. The new station will be approximately 15,800 square-feet with an estimated construction cost of $6.7-million. 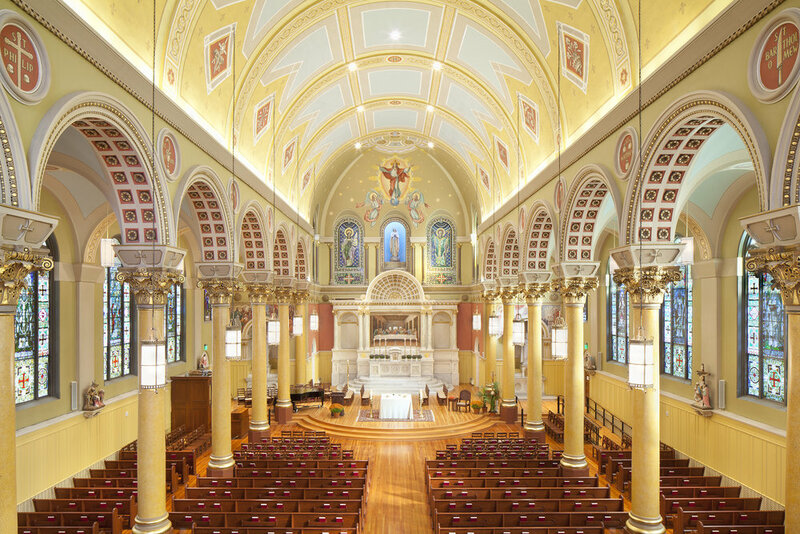 Castagna Construction was selected for construction and should take approximately 14-months to complete. This station is located in an increasingly busy section of Burlington, which has experienced a significant growth in commercial property. The current station was too small to accommodate expanded crew needs and could not support and expansion. The new station will have three bays and be built on the old station's existing site. This is an exciting time for the town as this new station has been in the works for the past 2-years. “It is a longtime coming and it’s great to be able to move forward with this project,” said Michael Runyan, Selectman and Burlington firefighter. Context Architecture is very excited to be working with the Town of Burlington and is looking forward to the finished project. Last week the entire Context team participated in a full day touring some of our recently completed projects, and one that is still under construction. Taking time out of a very busy work schedule is not an easy choice, but we value the learning experience tremendously. Visiting our buildings after they have started to be used gives us a new perspective on what works and what we could do even better the next time. It also allows the entire team to see building types they may not have worked on themselves, so they can be prepared when they do work on one in the future. Finally, it gives us an easy excuse to see past clients and celebrate the good work that was done. We started the tour by visiting the North Andover Town Hall which was completed in 2016. This project began as a full renovation of the former fire station which was built against the town hall. The design quickly evolved to include renovating the interior of the original town hall and encompassed the integration of a forgotten courtyard into a grand stair and atrium. We explored how the project was designed to integrate the new into the existing to create one unified town hall. The group then toured the North Andover Central Fire Station which was completed the year before the town hall project. The new fire station is situated on a corner allowing for four drive-through apparatus bays and a spacious crew quarters. The third project we visited was the construction site for the new Westford Fire Station; which is anticipated to be completed at summers end 2018. While we toured the space we were able to see the stair's railing installation underway and check in with the construction team to get updates on how things were progressing. 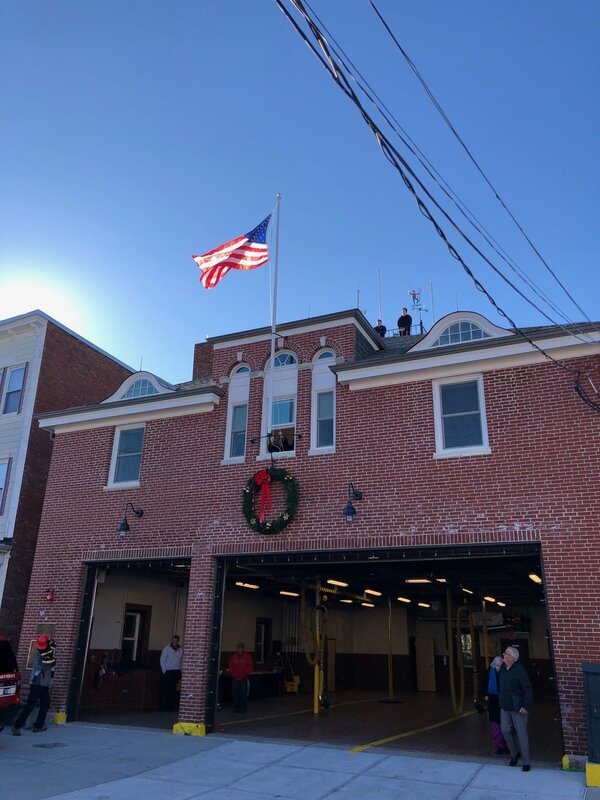 We then toured Weston Police Department including their indoor firing range and finished the day with a quick visit to Newton’s Fire Station #10; both of which were new construction and completed in 2015. The tour of each building, although designed by Context, was led by one of our client’s and it was great to hear them speak about what the design and construction process meant to them as well as how pleased they were with the final project!